All Stainless Steel construction. Designed to allow wire to feed directly through the base eliminating the need for a separate cable grommet. 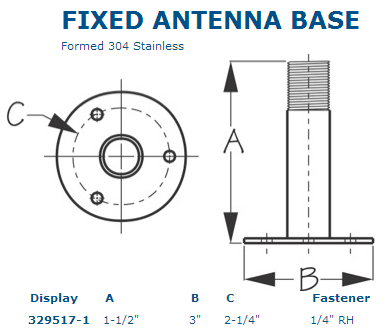 Ideal for TV, Loran, GPS and VHF antenna's with standard 1" #14 threads.